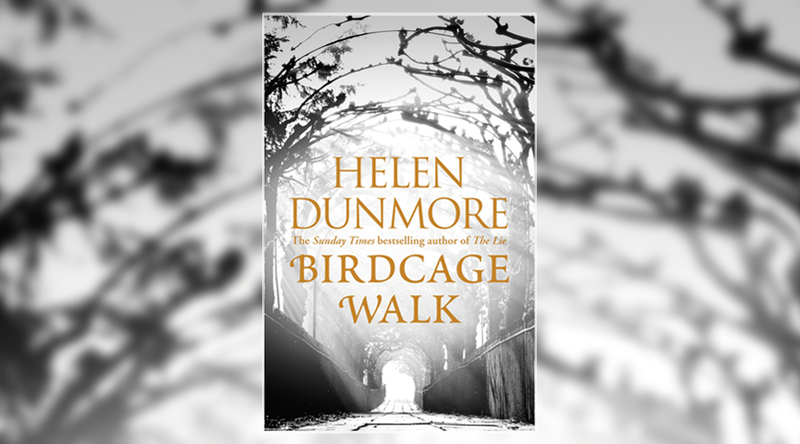 Birdcage Walk – Helen Dunmore – Audible Book Review by Pat V.
Helen Dunmore’s latest novel is a subtle and elegiac work set in a world in flux. It is 1792 and Britain is in turmoil at the news that is arriving from across the Channel. There are rumours that the King of France has been deposed, that he has been put on trial and that terrible massacres have taken place. However, for the newly married Lizzie Fawkes in Bristol, such matters are of little consequence. She is more worried about why her property developer husband is so unsettled. He seems to love her but why is he so adamant that he does not want children? Even more bizarre, why does he insist that she now call him “Diner” and not by his first name, John? Lizzie is not a typical young woman of her time. Unsurprisingly, given that her mother is the real-life radical writer, Julia Fawkes – a friend and disciple of Thomas Paine – Lizzie is politically aware, a passionate advocate of the equality of all and the independence of women. Fascinated and, at the same time, repulsed by what is happening in France, Lizzie is forced to turn her attention to her own situation when her mother dies and a stranger, speaking French, arrives at her home and insists on speaking to “Diner”. An atmosphere of menace had already been created from the very start of the novel in a quasi Dickensian scene where a mysterious man buries the corpse of a young woman in a dark gorge. Caught in a moment of chiaroscuro, nothing more is explained to the reader and we are left wondering, until the end of the book, how this relates to what follows. This sense of dread will be familiar to readers of Dunmore’s fiction. The opening scene of her novel, “The Betrayal,” set in Stalinist Russia, creates a similar sense of unease when the young doctor, Andrei, realises that his action will have far-reaching consequences when he is forced to offer an unwelcome diagnosis to a member of Stalin’s inner circle. Dunmore has explored the effect of major world events on ordinary people in many of her previous novels, from WW1 in “The Lie” to the German attack on Leningrad during WW2 in “The Siege” and the effects of the Cold War in “Exposure”. Her lyric gift is at its best when describing the domestic minutiae of everyday life in the face of circumstances over which her characters have little control. In “Birdcage Walk” this is less successful. We feel overwhelmed at times by the too detailed account of the day-to-day routine of Lizzie’s life in the early part of the novel and the different elements of domestic drama, suspense story and philosophic treatise do not sit comfortably together. However, as the story develops, it is impossible not to be drawn into the net that Dunmore weaves. This version, for Audible, is excellently read by the versatile Emma Fenney. It was sad to read in an article that Dunmore wrote for The Guardian on March 4th that she has been diagnosed with an aggressive cancer. Let us hope that she will recover and that we can look forward to many more books by this very talented writer. The audiobook is available from audible.co.uk and lasts 10h9mins.